Nirvana Quartz are very high vibration crystals with strong metaphysical properties which help you to move towards that state that is known as enlightenment. Using them may help your spiritual awakening, as they have a powerful crystal energy that is easily felt within the higher chakras. This is a variety of quartz that was only discovered in 2006 when the Himalayan glaciers began to recede due to global warming. In particular, you may notice its energy at the third eye, crown and soul star chakras, as well as at the heart and higher heart chakras, and at the lower chakras, if you choose to use them there. They have a pleasing vibration, that helps you to make a strong connection with the loving energy of the heart. They are excellent to use in meditation, to aid you to create a deeper spiritual connection, that will move your spiritual growth forward in a profound way. The word Nirvana comes from the Buddhist religion, and relates to reaching a state where you are able to let go of those things that bind you in the perpetual state of living life after life. It may also relate to the desire to experience a state of bliss, when you have released karmic debts. It is said at this time you reach a state of enlightenment, and achieve a new level of existence known as Nirvana. These crystals lay under the glacial ice on the Himalayan mountains in northern India, until the ice melted and they were exposed for the first time in thousands of years. 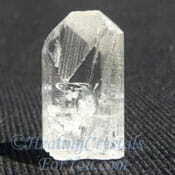 This quartz variety is also known as Lemurian Scalar Quartz, Himalayan ice quartz, as well as growth interference quartz. This included calcite, fluorite and anhydrite, minerals which later slipped away and left the strange shapes found in many of the crystals. Many do have sections of the stone that are smooth and many have natural facets. Some have beautiful clear windows in them that help to bring greater clarity to your spiritual journey. Make sure that the crystal you buy is a true Nirvana Quartz by buying it from a reputable source, as some stones may look similar but do not carry the high vibration. 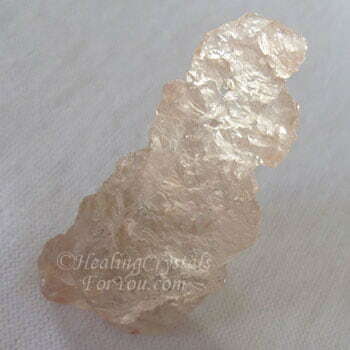 Pink Lemurian Scalar Quartz are that color because they contain titanium, and they may be pinkish and the ones with chlorite inclusions may have slight green tinges. 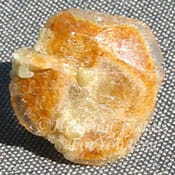 The color of particular crystals is related to the specific inclusions found in the stones. While many of these crystals have an hexagonal structure, some of these stones have no normal quartz structure. These growth interference crystals may be quite unusual with no two alike. Most of the Nirvana Quartz that are found in that area of the Himalayan mountains, are either clear, white or pink, but there are some Himalayan Ice Quartz crystals that have tinges of purple or green in the stones. 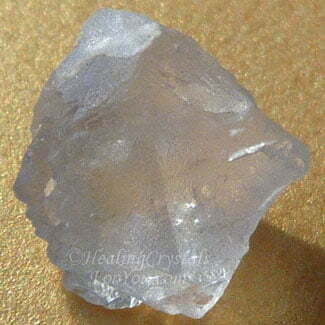 Their color may be faint or they may have a deeper color depending on what the quartz contains. This of course will have an effect on how they will react metaphysically when you use them. 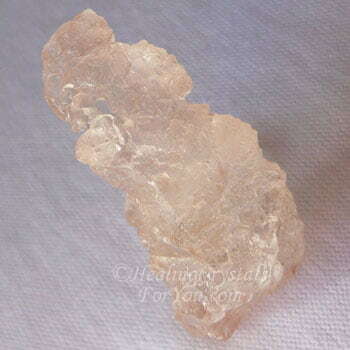 Trigonic Quartz: A high number of Nirvana quartz are also trigonic quartz crystals. This is one of the quartz types or formations where you will see tiny triangles in the stone, facing downwards away from the termination. These are powerful to assist you to connect into the time stream of the future, and become aware of possible futures and actions you may take that may allow you to move in that direction. These crystals are unique in many ways, as they will help you to move to a state where you can more readily stop thinking when you are meditating, allowing you to embrace a state of complete inner silence. At this time you may become conscious of your ability to connect with the flow of the powerful spiritual energy of the Divine mind. Nirvana Quartz crystals help you to gain an awareness of your spiritual destiny, and aid you to confirm, trust and accept your soul self. This may help you to distinguish more clearly between reality and imagination, allowing you to discover whether what you experience, feel or believe, is really true, and to recognize if your beliefs are truth or wishful thinking. 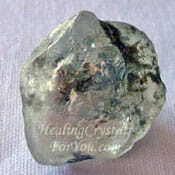 It is believed that the appearance of these high crystal energy stones at this time in earths history, is no coincidence. This was part of the Divine plan to aid you to achieve your destiny. These crystals may have come to the attention of spiritual minded people, so that those of you who would like to work with them can discover your future potential, and the reason for your existence on the earth at this time. 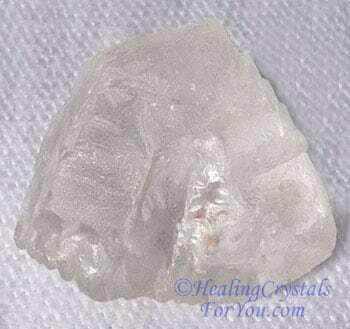 These crystals are powerful to use to make contact with spirit. 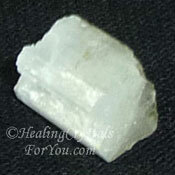 One of the best and most powerful way to use Nirvana Quartz is definitely in a meditation with crystals. These crystals are powerful to move you quickly and easily into a state of inner silence, perfect for quiet contemplation and connection with the spirit world. Once you let go of the thoughts that often fill your head when you attempt to meditate, these crystals will take you very easily to a deep, relaxed inner awareness. It is common to find that the thoughts that are usually filling your head may stop quite easily when you use this stone. Any color or type of Nirvana Quartz is powerful to use. 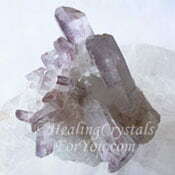 Once you use two of these crystals together, particularly the clear ones with the pinkish colored crystals, you may more fully discover the power of these quite unique crystals. 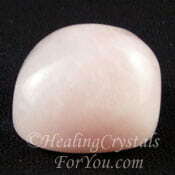 The pinkish stones encourage a deeper heart based experience. This may create a connection between the heart and the higher chakras that can be advantageous, both physically and spiritually. The combination of the white Himalayan quartz with the pink variety of this stone is highly beneficial and using them this way is very beautiful. When you are in meditation be guided by your intuitive abilities as to the location where you wish to place each of the crystals. 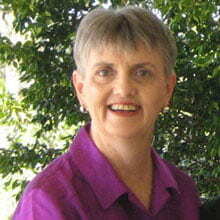 Allow your intuition to assist you regarding placement in any session you use them. As you continue using them you may be guided to use them in different ways, and this can lead to healing of issues you may not even have been aware of. Placing a crystal at any of the chakras below the heart, such as the solar plexus or power chakra, at the sacral or navel chakra and the base or root chakra. This may be helpful to aid healing in these areas. They are powerful to bring together the lower energies with the higher energy in the body, creating a unification. You may feel the energy move right down to the base, then up to the crown chakra and above to the higher transpersonal chakras. This may help you to release limitations, and bring self acceptance and clarity about your life path. 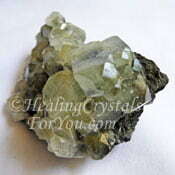 These crystals may help you to make a very strong higher chakra connection. You may find that your clairvoyant abilities may quickly begin to strengthen, and you may receive visionary messages more clearly. Using these crystals can allow you to make contact with both the beings associated with the individual crystal that you are using, as well as with other beings in the higher realms. 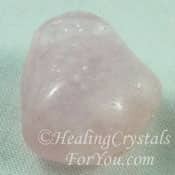 This crystal may be used alone or with other crystals, and either color of these crystals will connect to both the higher chakras, as well as to both the heart and thymus or higher heart chakra. 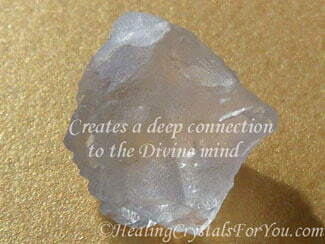 It is a powerful experience to use the clear Nirvana Quartz at your third eye or crown chakra. 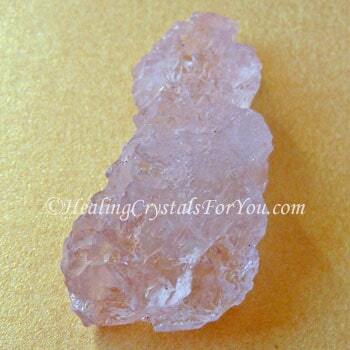 At the same time place one of the pink Nirvana Quartz crystals at your higher heart chakra, also known as your thymus chakra or at your heart chakra. 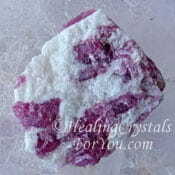 This may clear the energy and create a powerful flow between the heart and the soul star chakra. This connection has been described as heart-brain synergy, and may lead to immense spiritual change. One of the well known results from this is for powerful psychic visions to come through. When using these two together, my visions were accompanied by an absolutely beautiful burst of truly loving spiritual energy and brightly colored light. I saw gorgeous bright green and golden light swirling around me, which changed to deep magenta and the bright white light as it made a connection up through the crown chakra to the higher realms. It was a breathtaking delight to experience. Various scenes appeared to me, and a number of spirit beings were clearly shown to me. One of the guides who often works with me appeared, and he smiled at me like he too was enjoying the absolutely blissful feelings that accompanied the energy that came through. These feeling of bliss and deep inner peace are a quite common result from using these lovely crystals, and this is clearly why they were named Nirvana Quartz. 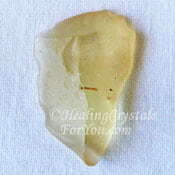 Lemurian Scalar Quartz are excellent to aid you with contacting your spirit guide, as guides may more easily make themselves known to you, if that is what you want. An interesting effect that you may find happen, is that after you have used them a few times, you will feel a movement of energy in your brain. When it happened to me, it felt similar to the action of Golden Herderite, which opens up new channels in the brain. It is like an alertness to what is happening in the world, and it feels like you can perceive more of what is occurring around you. Their energy can also help you with developing your intuition, at a a deeper level and of a stronger nature, as it has a quite intense action to bring intuitive messages to your attention. 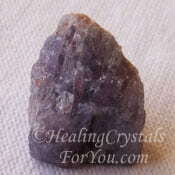 More than most other stones, it is important that you must ground yourself after meditating with these stones. Often when you are ungrounded you can feel your head spin, but you may not, and can be blissfully unaware that you are not fully present on the earth plane. If you are not sure of what the symptoms of being ungrounded are, checkout my article on spiritual grounding... Are YOU Ungrounded? This article tells you more about the subject and provides a list of good stones to aid you to ground more easily. 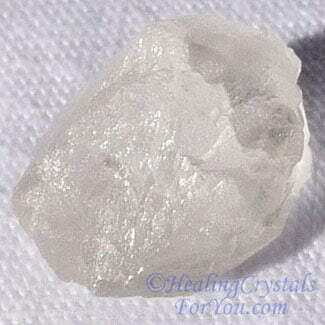 The nature of Nirvana Quartz is to make you very ungrounded, so in my opinion they are not suitable to use just before driving. Here are some ideas to help you to ground after using them, but these do depend on the time of year of course. Walk on the earth with bare feet to create a stronger earth connection. 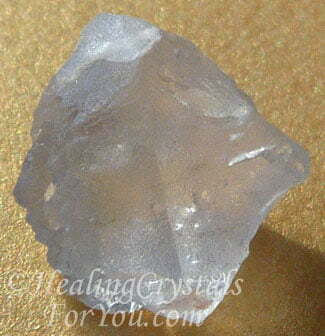 Hold a piece of spiritual grounding crystal in your hand. Use it to make a connection via the base chakra to the earth star chakra and Mother Gaia, and feel yourself become fully grounded. 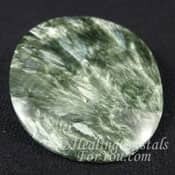 Nirvana Quartz is an exceedingly high vibration crystal, so having grounding stones on your body, will not stop you from becoming ungrounded when using this crystal. You would be better to have them there and use them afterwards to ground you back to the earth plane. The purpose of these crystals is to make a spiritual connection, and if you choose to use them, be aware that you will become ungrounded. I find that using them at a time when you do not intend to do anything important immediately afterwards is beneficial. Be aware that if you go to a crystal shop and connect with one of these by holding it in your hand (as I did) you may become spacey quite quickly. So take this into consideration and take action to make sure you are safe to drive afterwards. This is not a stone to wear, or to keep on your body, unless you wish to fully embrace its energy, and be aware that you may be very ungrounded if you do this. 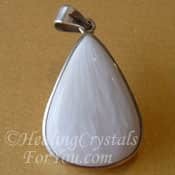 After using it for a while, you will realize that it is a crystal that is meant to be used in a specific way, for meditation and to connect with Spirit. 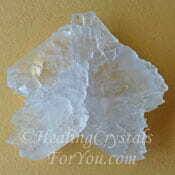 These are amazing crystals, and ones that are truly wonderful to work with! 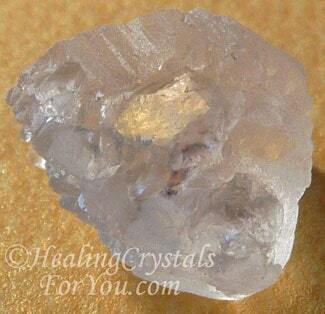 Nirvana Quartz is known as a stone of enlightenment, that will open up your understanding of spiritual truth. 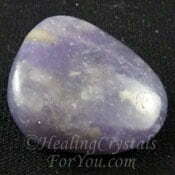 It is a stone that helps you to bring your lightbody closer, and unites spirit with your higher self. This helps you to be open to spirit removing all that is holding you back from your spiritual destiny. So what is enlightenment? One way of explaining it is that it relates to when you fully understand your spiritual journey and your life purpose. This understanding can come in an immediate and somewhat startling discovery of the direction of your life's path. From this comes self confidence and belief in the truth of what you have discovered, and an idea of where you are heading in this lifetime. Each of you have the potential to live the destiny you chose before you incarnated. Life is a journey, live it fully, and enjoy your progress along life's path! "Whatever you are, be a good one." Abraham Lincoln. 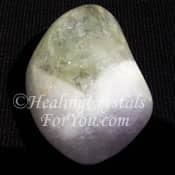 Using this stone with other high crystal energy stones is very powerful, and this is a good combination when you wish to stimulate the upper chakras. You might choose to use them with Herderite, Moldavite, Phenacite, Clear Danburite, Scolecite, Tanzanite, Satyaloka Quartz, Datolite, Natrolite, Libyan Desert Glass, Cryolite and Selenite. 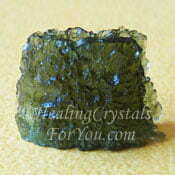 The combination with Moldavite crystals is very powerful and this helps you to have a greater understanding and trust in yourself and of your spiritual path. 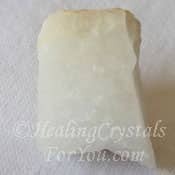 The combination with Stellar Beam Calcite may aid you while on your spiritual journey, as this Calcite variety is powerful to aid you to find new spirit guides or teachers in the higher realms. 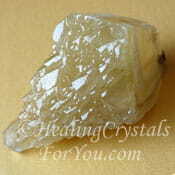 Use this crystal with Golden Danburite, to make a stronger connection to the golden light and to Christ consciousness. Heart based crystals that you may like to use it with include Kunzite, Lithium Quartz, Amegreen, Seraphinite, Lilac Lepidolite, Pink Tourmaline, Rose Quartz Crystal and Morganite. All of these are stones that have a calming and loving vibration. Using it with some of the other heart chakra stones or with the thymus chakra or higher heart chakra stones may also be beneficial, to accentuate the lovely heart based energy of these stones. 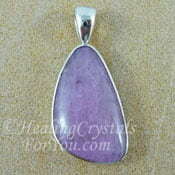 It really combines well with other strong heart based stones to encourage loving feelings to flow in your life.